That’s it. Need I say more? Saw Oscar on Tina’s blog. What is he?! Sooooo cute! I have a dog who is half entlebucher. Awwww! Thanks! 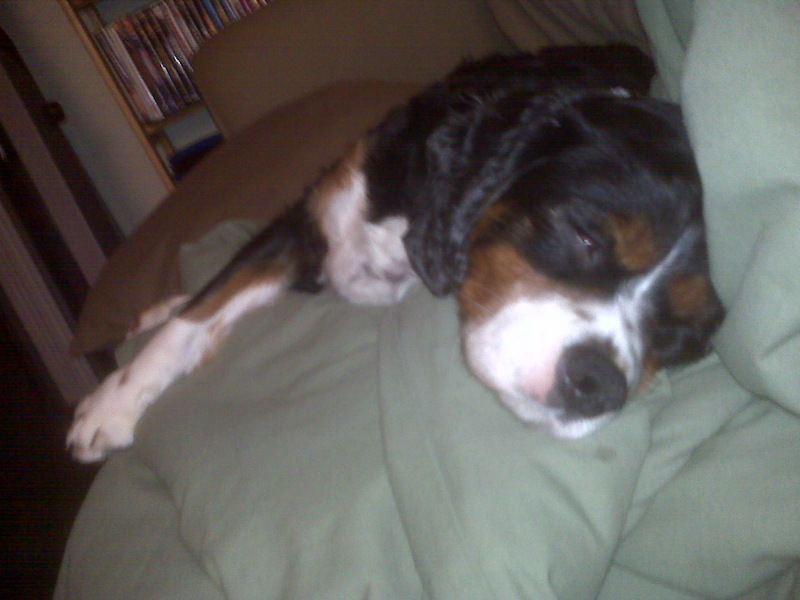 He is an (overgrown) cavalier king charles spaniel. I want to see your puppy! heading over to your blog now! No way?! Penny is half cavalier!!! I thought your pup was a swissy for sure! How ironic that he is actually the OTHER breed my dog is part of. Love it. He’s just soooo cute!!!! That is so funny! I want to see a pic of penny! I LOVE that name!